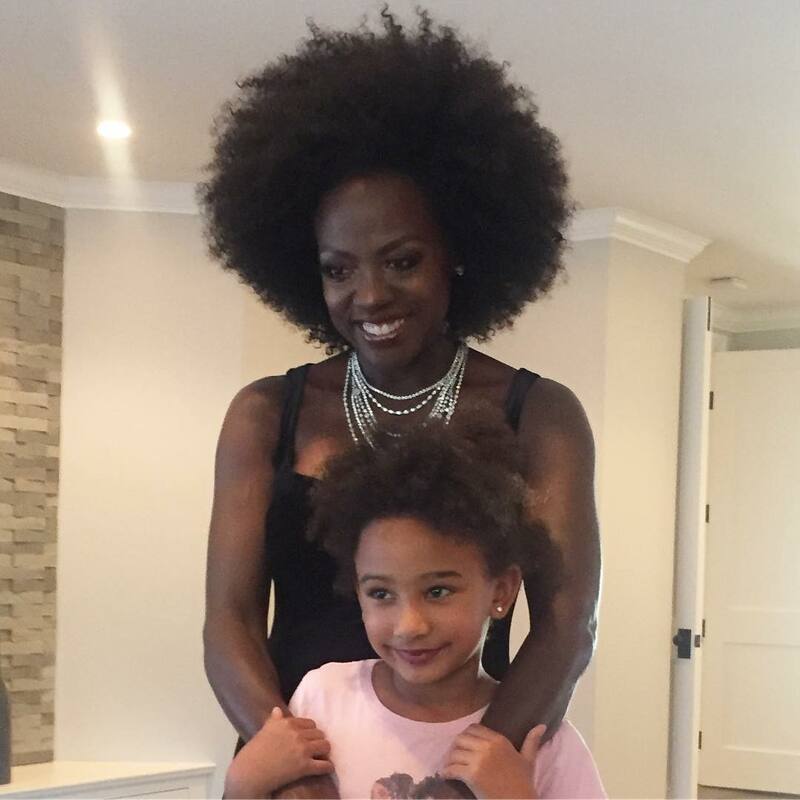 Viola Slays Natural Hair on Red Carpet of the Golden Globes! Viola Davis stepped on the red carpet with her big and beautiful Afro at this year's 75th Golden Globe Awards in Beverly Hills, California, and we were here for all of it! Davis also wore a beautiful black dress in honor of the "TimesUp" Campaign. The campaign is in honor of all of the people who spoke out against sexual harassment, sexual assault, and gender bias. Viola Davis was accompanied by her husband, Julius Tennon on the red carpet. The actress' hair was done by Jamika Wilson (@jamikawilson). 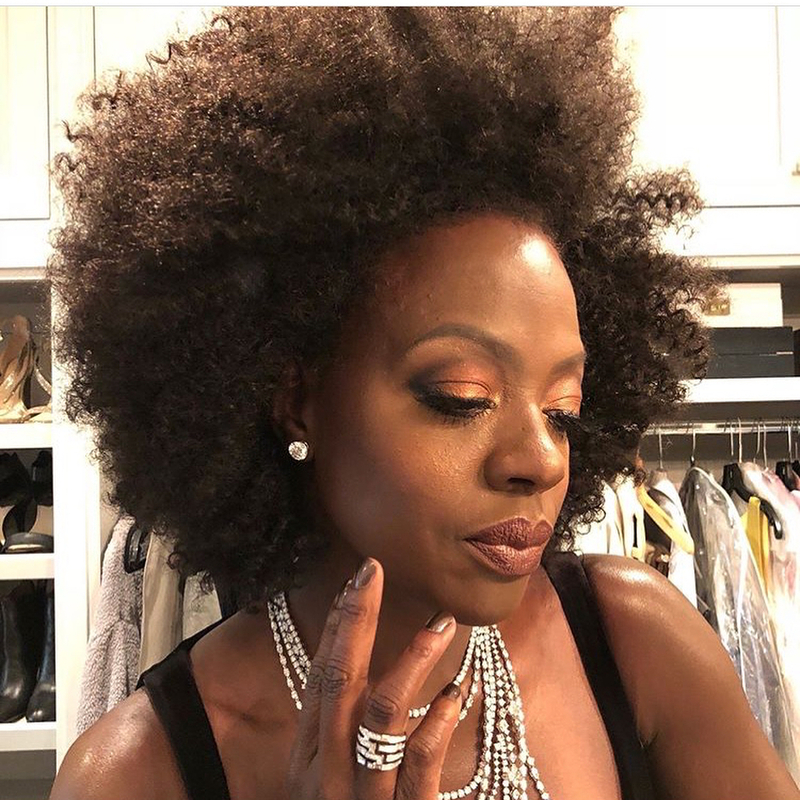 Her makeup was by Sergio Lopez-Rivera (@sergiowastaken), and her wardrobe was by Elizabeth Stewart (@elizabethstewart1).Viola Davis looked absolutely stunning on the red! Kudos to her style team! Back in 2015, Davis made natural hair headlines when she wore her TWA on the red carpet of the SAG Awards. Since then, she has been wearing mainly wigs and weaves in public. That was until now! In an interview with NBC, the 52-year-old How to Get Away with Murder star said, "There's no prerequisites to worthiness. You're born being worthy, and I think that's a message a lot of women need to hear." What do you think of Viola Davis' wearing her 'fro on the red carpet?